A new extension to an inner city villa that provides introspective calmness and privacy while allowing light and ventilation. The house borrow an impluvium from the language of classical roman Pompeii, a device that was used to introduce air and light to house too small for a full-sized courtyard. The windows are carefully set out to provide strategic views of gardens and avoid sight of neibouring suburban structures. In plan the house extension is similar to its bay villa typology at the front with an extended bay windows and corresponding veranda executed however with crisp lines and careful detailing. The house will have a heated limestone floor and is otherwise fundamentally a volume, form, mass and space. We are at the tail end of construction of two seaside units located in the bay of islands overlooking a private beach. The project is in conjunction with Noel Lane Architects, and follows a refined rustic aesthetic with deliberate constructivist connections. 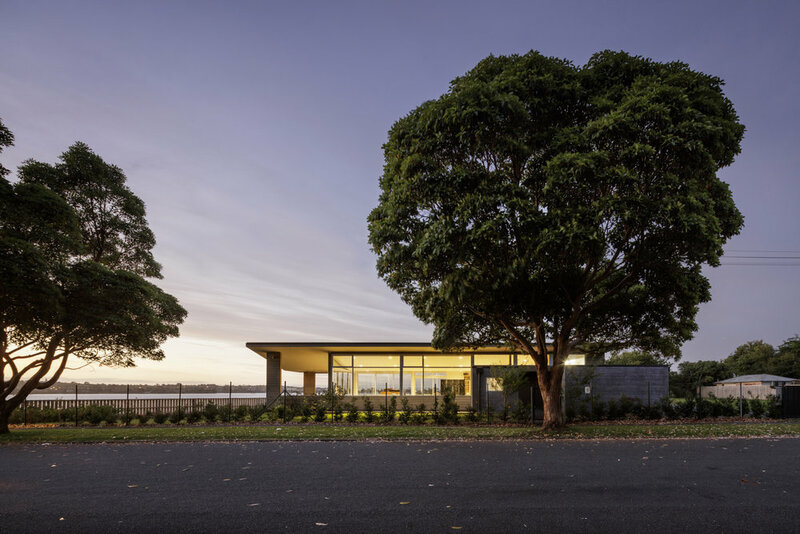 The houses are identical with roof glazing that enables a lightness and connection to the bush above as well as the immediate shoreline 20 meters away.